Black & White Salon Dubai, offer its client the salon experience right at the comfort of your home. We send our fully trained beauty professionals directly to your home or office any time you need us. We offer the convenience and ease of on-site salon. Our Specialist come fully prepared at your home, office or event with whatever is needed for the service. Everything is neat, clean and organized with only the highest quality of products being used. Looking for enjoyable way to celebrate your special event? (Either it’s a bridal shower, bachelorette parties, birthday parties, girls night out parties, teen parties). Book your spa parties at Black and white dmcc salon and we will create an experience your friends and family will never forget. 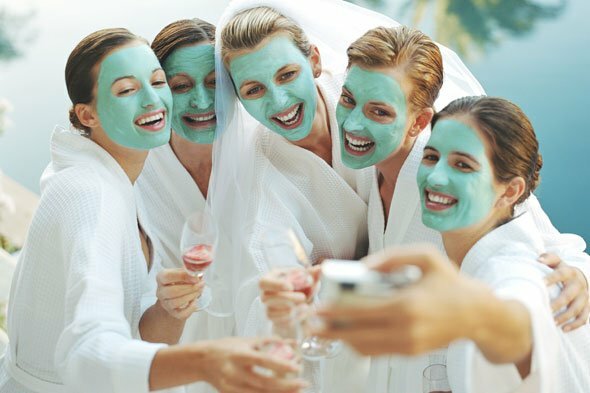 A spa party is the best way to combine fun and excitement with the serenity ultimate pampering.